YOUR PRODUCT DESERVES THE RED CARPET TREATMENT. Repack Canada creates quality custom corrugate POP display solutions for any product. The retail market is a very competitive environment and stores are often packed and cluttered. Our job is to use our promotional experience and retail insight to come up with fresh and innovative ideas that not only get your product noticed but also help move your product off the shelves and into buyers’ hands. We know by now that every job we encounter is unique and requires a different problem-solving strategy. It’s important to us that we take the time to discuss all of your concerns and ask the right questions to ensure our ideas will bring about the right solutions. POP displays & pallets get your products off the shelf and in front of shoppers making purchase more likely. Studies show that when an item is taken off a display, a sale is made 66% of the time. 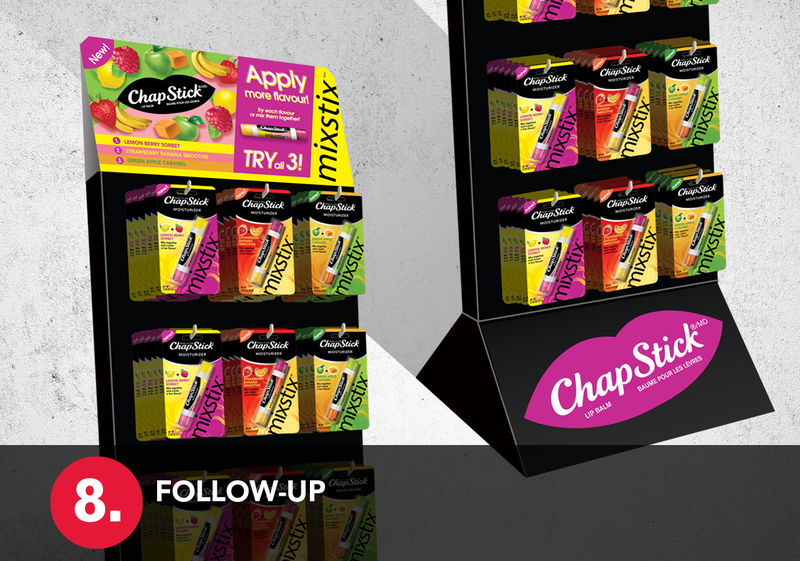 Mock-ups and display prototypes are just one step in the overall success of your packaging campaign. At Repack Canada we take fresh ideas and put them into tangible form before the production stage. Testing and re-testing is performed to make sure these ideas are a perfect fit. Our staff is highly qualified and has the insight needed to provide professionally engineered products that function properly and effectively at store level. 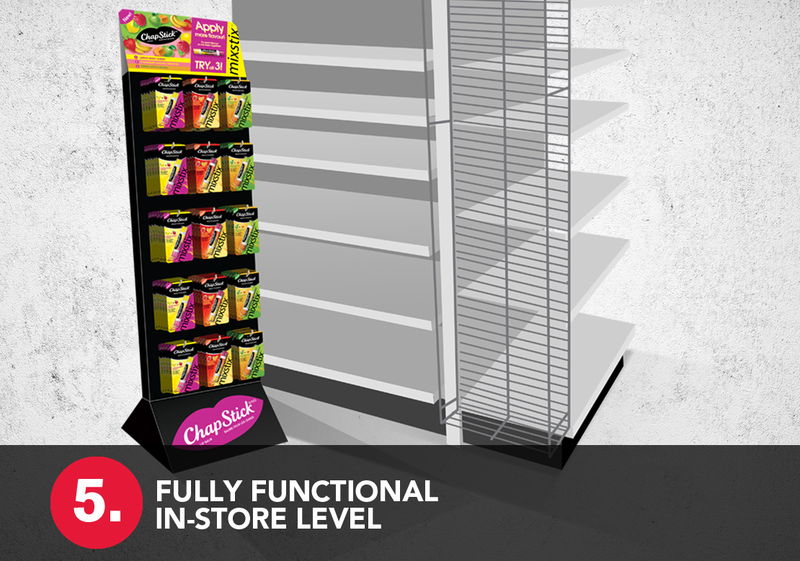 Our POP displays and pallets can be found nationwide in leading retail stores such as Walmart, Loblaws, Shoppers Drug Mart, Costco and more. 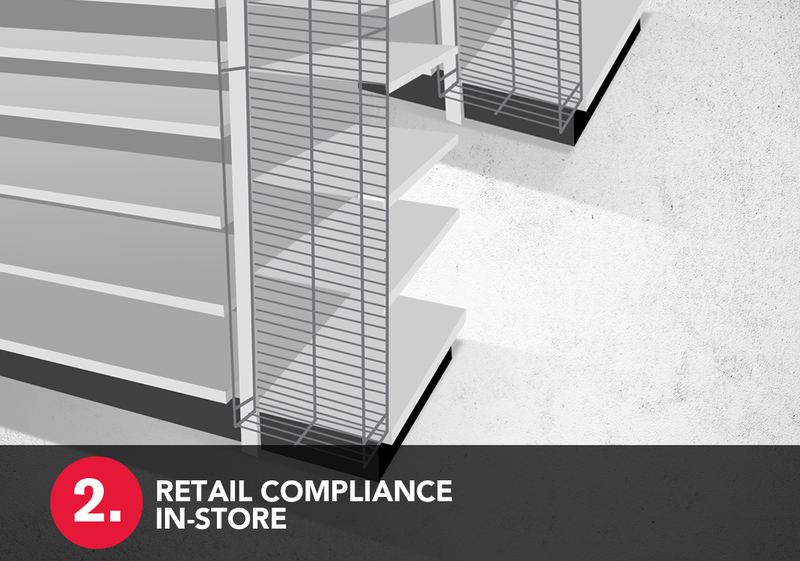 Each store has its own set of rules and guidelines that must be followed for each job. You can rest assured with our experience and insight that what we create and design will not only have an impact on shoppers but there will never be any issues upon store arrival. We take responsibility for all tasks so that you can get back to focusing on your business. WE DESIGN, CREATE, AND PACKAGE WINNERS. AND BY WINNERS WE MEAN YOUR STUFF! We custom design, create and fulfill retail packaging solutions for any product. Whatever your retail packaging needs are, Repack Canada has the right resources and the capability to get the job done. New or revised retail package design. Carton or sleeve design for your club pack. Shrink-wrapping and re-bundling canned goods. Custom sample carriers for giveaways. Heat seal poly bagging for your apparel. And so on. Looking to promote trial? Club packs promote value to consumers in purchasing multiple pieces for one lower price. We can help you with this! We take care of all of your packaging needs from the initial design stage to packing, assembling and shipping. Each packaging job is unique, requiring a different solution; however, our production process never really changes. We consider and analyze the problem with our clients first to fully understand their needs. 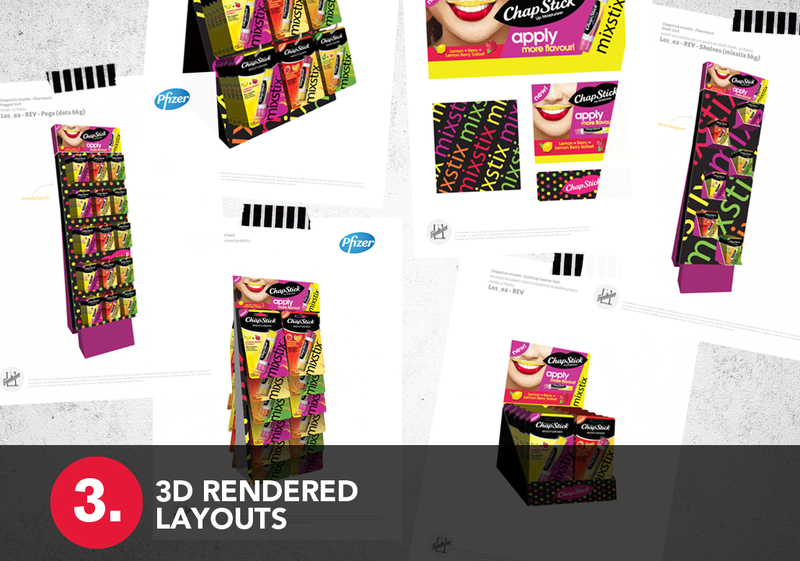 Our team of experienced package engineers, designers and printers come up with 3D concepts for presentation. 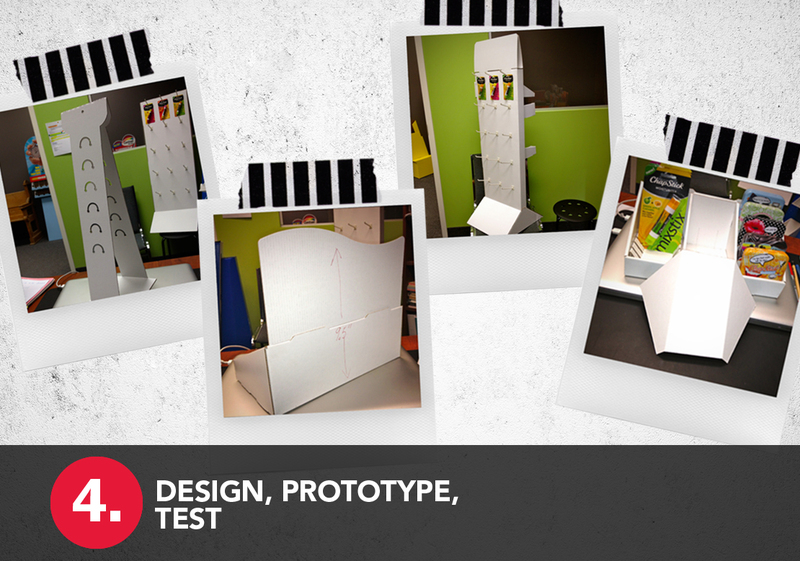 Mock-ups and prototypes are then created and put into tangible form for testing. By sticking to this process and taking on all responsibility from start-to-finish, we can ensure a high-quality, reliable outcome for your product every time. Our goal is to save you valuable time, stick to your budget and relieve stress. KIT & PACKAGE ASSEMBLY DONE IN A FLASH. ASK US WHAT OUR RECORD TIME IS! 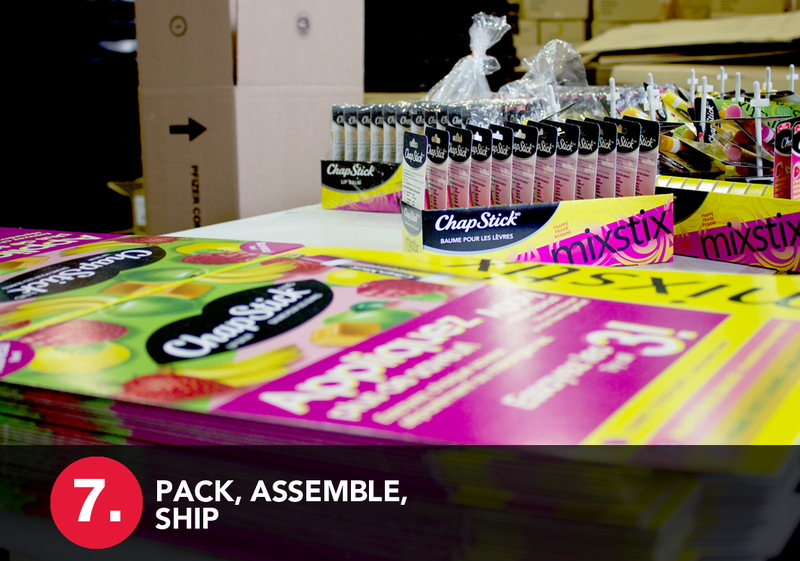 Repack Canada offers a wide range of assembly and order fulfillment services. We have the warehouse space, staff and expertise to execute all hand-assembly quickly, efficiently and at a competitive price. Our 55,000 square foot facility is outfitted with industry standard up-to-date machinery allowing us to take on any packaging or contract packaging job you might require. At Repack Canada we hold the permits and licensing required to work with clients in the retail, food, liquor, precursor and pharmaceutical industries. Leave your contract order fulfillment with the experts so you can get back to focusing on your business. Quality, Security and Whatever-It-Takes service are our specialities. We take care of all logistics from packing and assembling, to warehousing and shipping. We free up your time and take care of your programs so you don’t need to worry. At Repack Canada our “whatever it takes” service is the foundation of our success and we follow through every time! WE CREATE LABELS AND APPLY THEM, WE’RE THAT GOOD. Labelling & Coding is just one step in our wide range of assembly and order fulfillment services. Labelling is a sought after service from many of our clients. We have the tools required to produce and fulfill any type of label you might require whether it’s a new product, over-labelling due to print error, import products requiring missing information for the Canadian market (I.e. nutritional fact table, allergen listings, etc.) or a small-run market test. Whatever your label requirement is we can help you out! Just another step we take care of as a one-stop co-packing shop! We also offer ink jet coding and barcode printing as well. You can be certain that when you bring your job to us, all aspects of any co-packing job will be handled. Packaging with a shelf life of less than 90 days will require a date code. 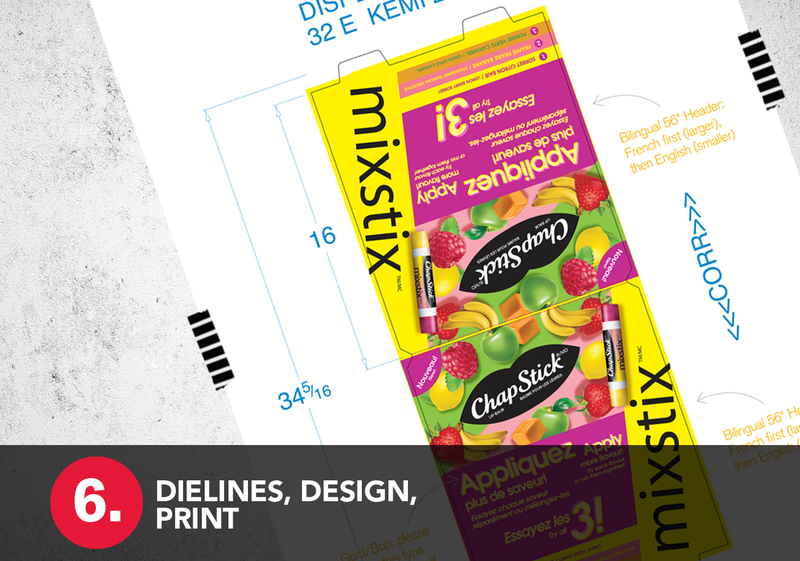 Your product packed and re-bundled into multi-packs may require a new UPC code. Re-formatting product into new trays will need an SCC code. Whatever the situation, our co-packing fulfillment services will handle it. WE WANT TO UP YOUR PROMOTIONS GAME IN A BIG WAY. Repack Canada’s marketing and design branch, The Freelance Portfolio has over 35 years of experience with sales promotions and graphic design in the retail industry. You can learn more about them here. 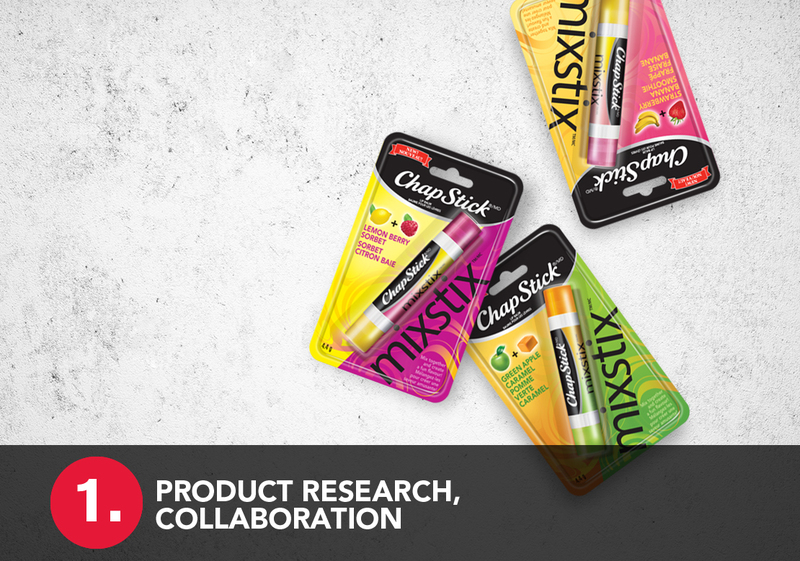 The co-packing expertise of Repack Canada combined with the marketing and design approach of The Freelance Portfolio are what sets our clients up for success with their promotions. Our marketing team can handle all aspects of your campaign from idea to roll-out. Every promotion is unique and therefore requires a different problem-solving strategy. We’ll sit down with you and discuss, collaborate, and create an approach to achieve your objective, whatever it is: getting your product noticed or introduced to the market; increasing trial; creating awareness; encouraging loyalty; and so on. A Sales Promotion doesn't have to be a daunting idea. This is where we step in and make your life easier. We get excited about promotions! We create buzz, awareness, and fun and exciting products your customers can't say no to! Whether your promotion requires different display options, a pallet, couponing, a giveaway sample, social media involvement, or even a contest, we have experience rolling out all aspects from the grand idea to your final product. Leave all the details to us and we’ll coordinate all of the logistics to deliver results. CUSTOM DESIGN WILL SET YOUR PRODUCT APART. It may say PACK in our name but we are much more than a packing company! You might find it interesting that before Repack Canada was established our practice focused on marketing and graphic design for the retail industry. Developing product launch campaigns, and designing packaging, displays and sales material were our forte. So it seemed like a natural progression when the opportunity came to provide a co-packing element for our clients as well. Our design and marketing branch, The Freelance Portfolio, is what sets us apart from other co-packing companies. At Repack Canada we work side-by-side with these graphic designers and printers so that every solution begins with a clear message and ends with winning results for our customers. Not only does this end-to-end process provide a more consistent and clear message but it saves them time and money spent on project logistics and back-and-forth communication between agencies. We handle all aspects from design collaboration, the creative process, printing, assembly, packing and shipping. We can handle all aspects of your retail needs. One roof, more accuracy, more consistency, more time savings and stress free! Learn more about our design process from our marketing and design branch, The Freelance Portfolio. Different name, same experience doing Whatever-It-Takes for our clients.